It took millions of years of rain water seeping through limestone to create the beautiful, emerald lagoon below me. I had climbed a series of steep steps up to a viewpoint on top of the cliff on Mae Koh Island. The view was breath-taking—admittedly so is the climb—but it’s worth it. 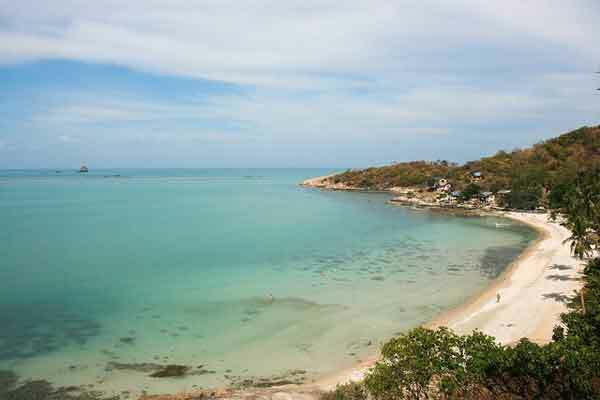 I had taken a day trip from Koh Samui to explore Ang Thong National Park. The park consists of around 40 oddly-shaped islands, limestone cliffs and secret emerald lagoons. I spent the morning snorkelling, looking at Schooling Bannerfish, Yellowtail Clownfish and Yellowtail Fusilier. 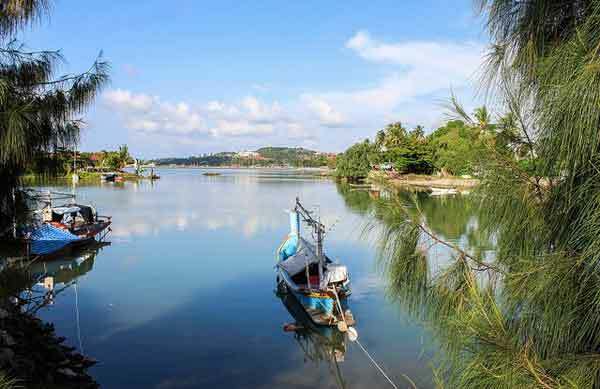 It is a popular spot for this water sport and many also come here to scuba dive. 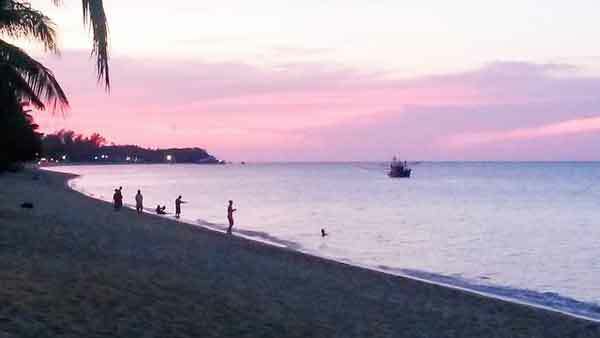 The marine park is a big tourist draw and many visitors, including myself, stay on nearby Koh Samui island. 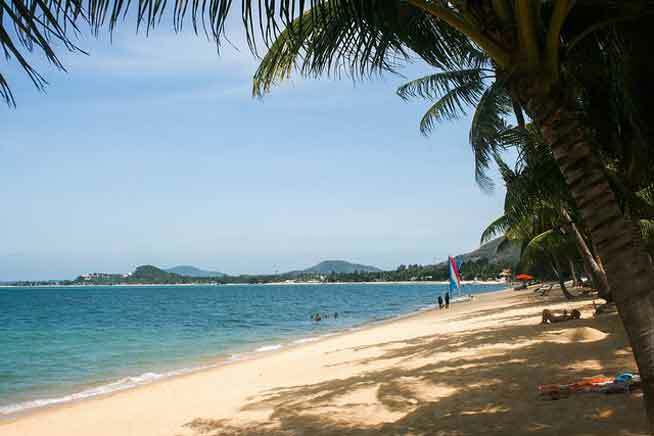 Dubbed “Coconut Island”—for good reason (around 2 million coconuts are exported from here each month)—Koh Samui is Thailand’s second largest island. This island is the epitome of paradise. High-rise development is almost non-existent; the silver-sand beaches draw holidaymakers and expats alike, and the crystal-clear water is perfect for water sports like kayaking, sailing and boat excursions. The island is so beautiful that even its airport is worth photographing. Surrounded by lush gardens and palm trees, terminal one is a thatched-roof pavilion. 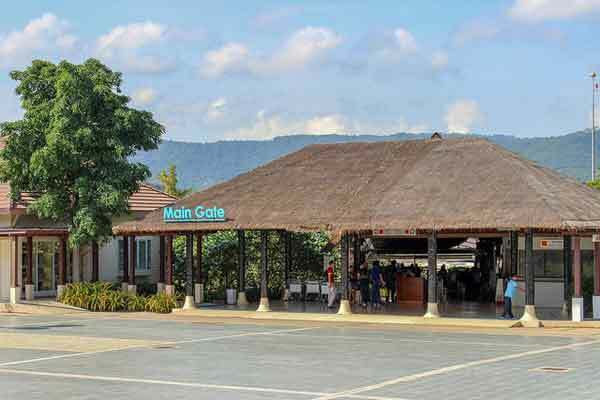 In fact, the entire airport compound is made up of thatched pavilions. Take a look down the runway and you will see a golden 24-metre-high Buddha statue glinting in the sunlight. 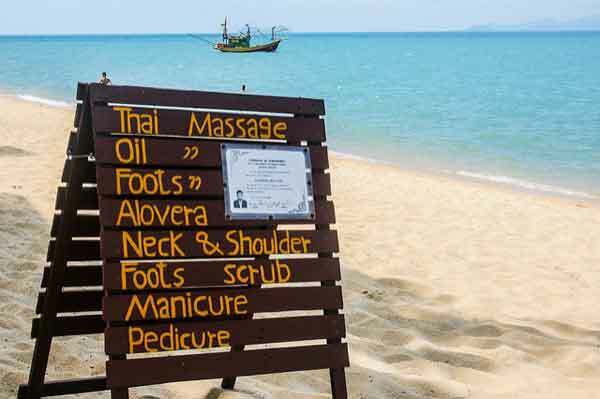 The silver-sand beaches are the perfect place to relax and you can get a great deep-tissue massage from as little as $13. Head to the interior of the island and you can trek by foot or elephant to waterfalls and natural rock swimming pools. 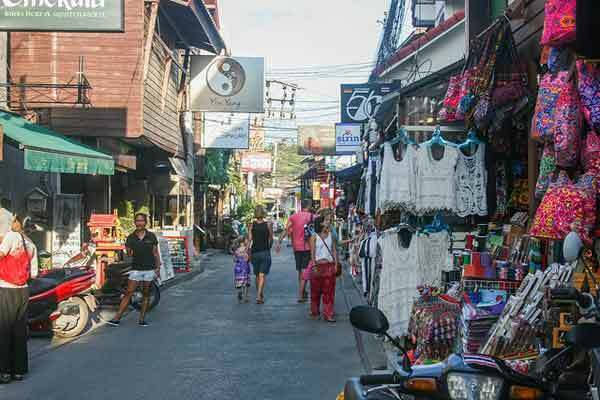 A visit to Fisherman’s Village is a must for anyone who comes to Koh Samui. Lined by old wooden Chinese shophouses, interrupted by a few modern buildings, it has a Mediterranean feel to it. Mixed among the local stalls are boutiques selling high quality clothes and jewellery, dive shops, restaurants and bars. Go on a Friday night—it’s quiet during the week—and you’ll experience a buzzing walking street. Vendors set up stalls on the road for just about everything from thongs to bags to food. You name it, it’s here. Prices are affordable, but don’t forget to haggle, it’s part of the culture and expected. It’s cheap to you but getting a better price is all part of the fun. As you explore the village (open from 5 p.m. to 10 p.m.), you will hear live music being played in many of the open bars. And if you’re lucky, as you wander towards the beach you will catch a fire performance. These mesmerising shows are commonplace here and quite impressive to watch. After the show I walked back along the beach towards my hotel. 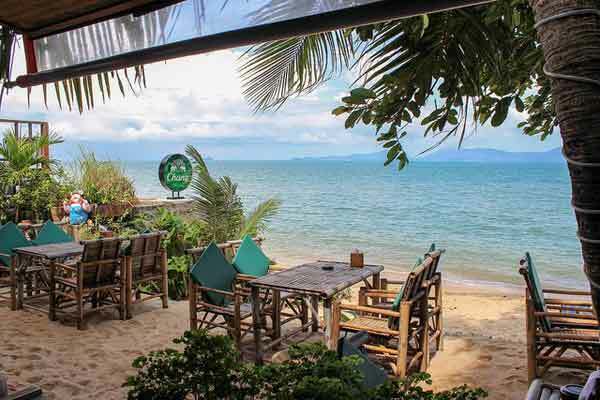 There are small beach bars with bean bags and beds dotted along the sand, any one of them are the perfect place to stop for a nightcap to finish off the day. Sign up here for IL Australia’s e-letter and we’ll send you five free postcard e-letters weekly. We’ll also send you a FREE research report on Thailand: Live Like Royalty in the Land of Smiles.